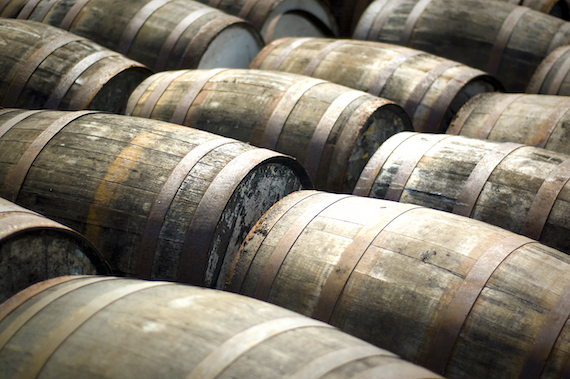 Whiskey has been witness to the roots of American history dating back to before our country's founding. Heck, whiskey even started its own Rebellion in 1791 pitting rye farmers against George Washington over the first ever federal tax on a US made product. Taxation without libation doesn't sound very democratic to us. Scotch bourbon whiskey drink cocktail on bar counter. 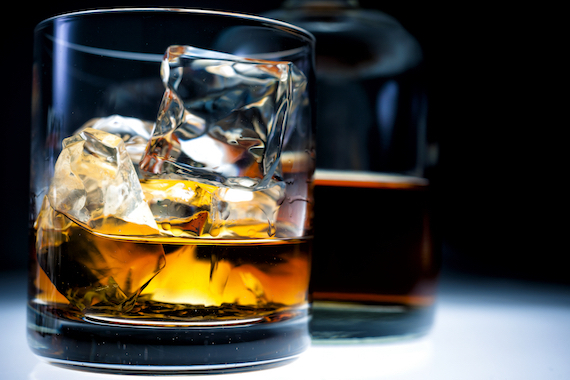 For the curious or unfamiliar (or the just too shy to ask), whiskey is a distilled alcohol made with fermented grains like barley, corn, wheat and rye depending on what's local to each whiskey-making region. It turns out that what originally grew best in the South was rye, which also offered a signature spicy flavor. 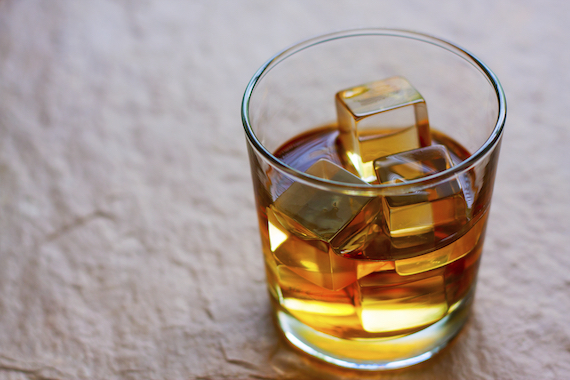 Like every libation that's lasted hundreds of years, Southern whiskey has occasionally fallen out of favor when the next shiny Red Bull cocktail comes along. But classics are classics and whiskey has recently surged back in vogue with a vengeance including both distilleries that have been around since the beginning as well as a crop of newer boutique micro-distilleries that are reviving this historic craft (with the help of some very experienced mixologists). So if you're looking for a sure-fire way to get your cocktail hour started in the right direction (or to impress your guests) here are three simple-to-follow recipes for iconic whiskey cocktails straight from the distilleries themselves. As we whip ourselves up some whiskey classics, one thing we'll be happy for are the farmers in 1791 who fought to keep making whiskey! The Sazerac Cocktail hails from New Orleans (from an historic distillery) and is often referred to as "America's First Branded Cocktail". This classic drink was originally created by Antoine Amedie Peychaud, a local apothecary owner (and a natural mixologist) in 1850 using Sazerac French brandy, absinthe and a dash of his own Peychaud's Bitters. The drink became very popular and was served in the local "coffehouses" (code for bar back in the 1800s), most closely associated with the wildly popular, Sazerac Coffee House. In 1850, Sewell Taylor, the owner of the Sazerac Coffe House, institutionalized the recipe made with Sazerac French brandy and Peychaud's Bitters and became the first "branded" cocktail. With the rise of rye whiskey distillation in the US, in 1873 brandy was replaced by rye whiskey and a dash of absinthe was added. In 1940, the official Sazerac Cocktail was founded including a French pastis made of wormwood known as Herbsaint that would become the official absinthe for the this historic cocktail. Finally, in 2000 the last modification of the official recipe below was made with the use of Sazerac Kentucky Straight Rye Whiskey. Since the late 1800s the Sazerac Company has distilled an ever-increasing line of fine spirits, and today remains independent and American-family owned. Would you expect anything else from a company that owns and operates many of America's most venerable distilling companies including Buffalo Trace Distillery, A. Smith Bowman, Glenmore Distillery, Barton, Fleischmann, Medley, and Mr. Boston? Cheers to that! The Manhattan is a beloved classic on a roaring comeback. Once a drink associated with the more "distinguished ages", this simple cocktail is once again showing off its timeless versatility. The Manhattan has an ambiguous history with its roots most likely connected to the New York City-based Manhattan Club, a swanky social club for political and financial powerbrokers in the 1870s. However, there were similar recipes from other locations including the South. Regardless of origin the original Manhattan drink consisted of a mix of American whiskey, Italian vermouth, and Angostura bitters (also used in an Old Fashioned cocktail). Since the original concoction there have been lots of iterations. 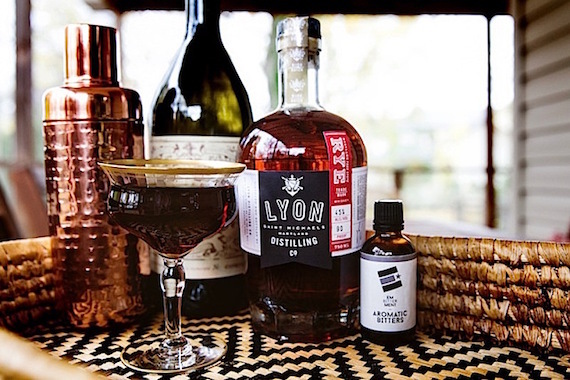 This spin on the classic is from Lyon Distilling, a new and fast-growing player in the boutique market for small batch whiskey (and rum) distillation located in Talbot County, Maryland in the historic, waterfront town of St. Michaels. After Prohibition several Maryland-based whiskey distilleries came and went. Founded in 2013, Lyon Distilling is the first whiskey distillery to open its doors on the Eastern Shore in forty-two years to bring back the historic craft. One of the best things about classic whiskey cocktails is that many of them don't have roots in the South at all. Some after 100 years have taken on flavors and twists from around the country. All of which is a testament to the appeal of American whiskey drinks in the first place. The Pennsylvania Derby was inspired by the classic Brown Derby drink that originated in the early 1920s and was named after the Brown Derby restaurant located in Los Angeles, California in the early Hollywood days. This modern-day version comes from Heaven Hill Brands, America's largest independent and family-owned distilled spirits company located in Bardstown, Kentucky. Their National Brand Educator Lynn House says it's the fan favorite at any time of year. But what's with the name? Shouldn't it be the Kentucky Derby? The Pennsylvania Derby is named after the state where the signature Rittenhouse ingredient hails from, which along with Domaine de Canton, gives this modern spin its classic honey flavor with ginger notes as a compliment. One more insider secret: House recommends a ruby red grapefruit juice. Which also pair perfectly with brunch.